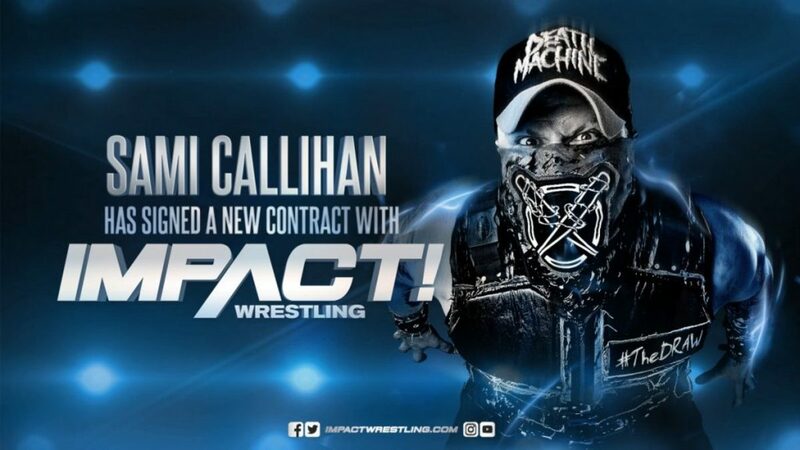 - Sami Callihan has signed a new contract with Impact Wrestling. Impact confirmed the news after it was reported by Wrestling Inc today. Wrestling Inc's report noted that it's a multi-year deal. Callihan and Jake & Dave Crist have been in a program with Rich Swann and Willie Mack in Impact, with their storyline playing up history between Callihan and Swann as Callihan has tried to get Swann to join his oVe group. - Impact also announced that -- after premiering on Fridays -- episodes of Impact will replay on Twitch at 6 p.m. Eastern on Mondays going forward. The show will be available on demand on the Global Wrestling Network on Tuesdays: "You asked for more ways to catch up on IMPACT. We're listening, and we're giving it to you. Beginning today, IMPACT replays on Twitch at 6 PM ET every Monday, and it's available to everyone on demand on Global Wrestling Network every Tuesday." - Two more wrestlers have been added to the Ultimate X match at Impact's United We Stand show in Rahway, New Jersey during WrestleMania week. AR Fox (as his character Dante Fox) will represent Lucha Underground. Pat Buck will represent WrestlePro. Fox and Buck join Jake Crist (Impact), Kotto Brazil (MLW), and Jack Evans (AAA) in the Ultimate X match. Impact is hyping that the final wrestler in Ultimate X will be a "mystery opponent." United We Stand is in partnership with WrestlePro. It's taking place at the Rahway Recreation Center at 11 p.m. Eastern time on Thursday, April 4 and will air as a pay-per-view on Fite TV.